This pack contains 5 sheets of A5 Essdee Print Foam. 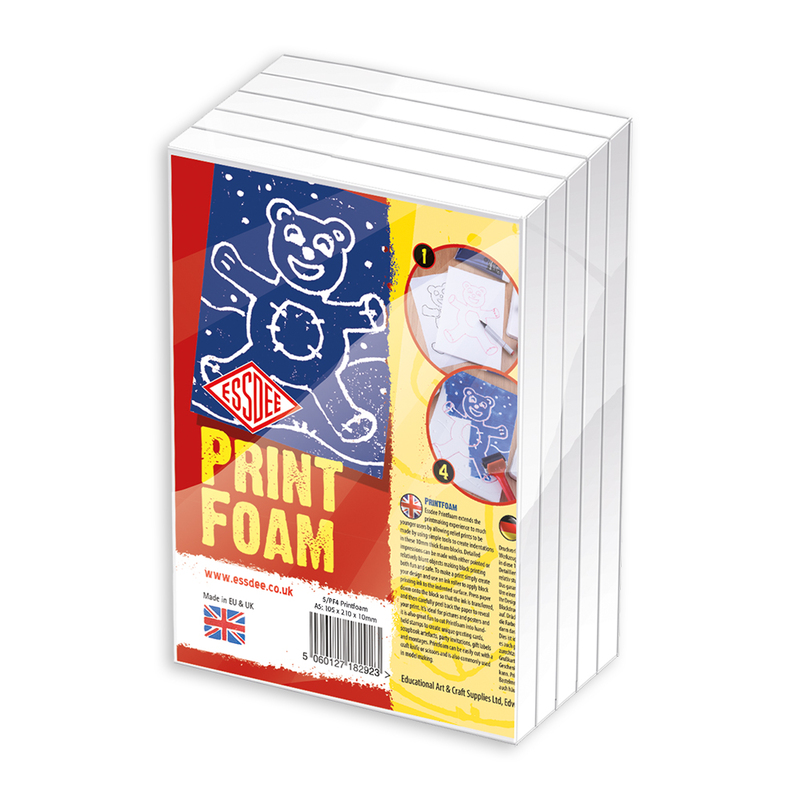 Print Foam opens up the world of print making to young creatives as it does not require the use of sharp tools. Each sheet has a surface that can be easily indented, embossed or cut without the need for any blades. Experiment with different blunt or slightly pointed objects (like a pencil) and see what kinds of marks and patterns you can create. 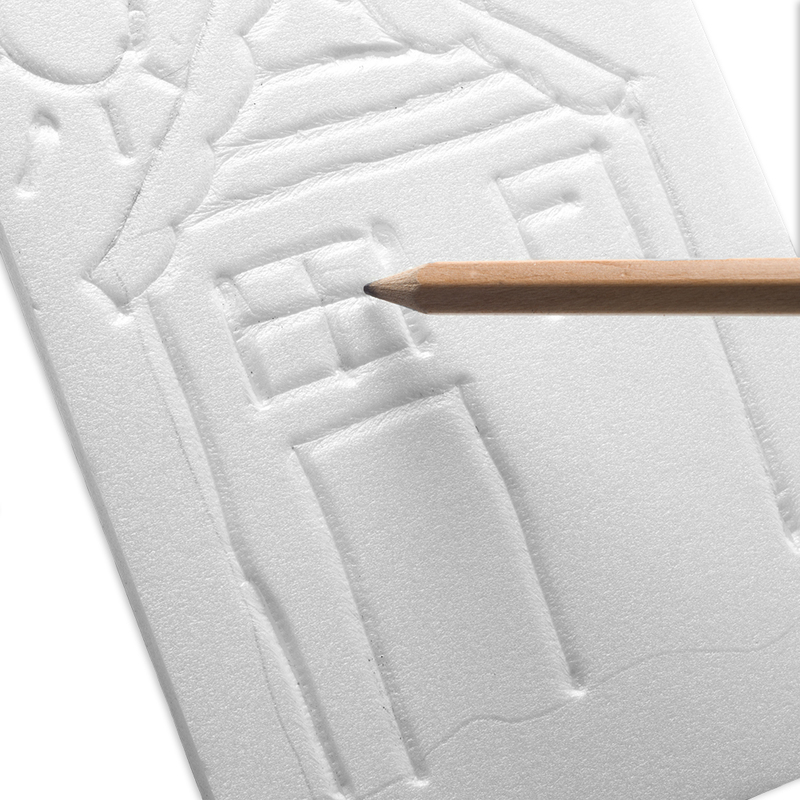 Other than not requiring the use of traditional lino cutting tools, Print Foam is very similar to traditional Lino sheets - to make a print simply indent your design and use a roller to apply ink. 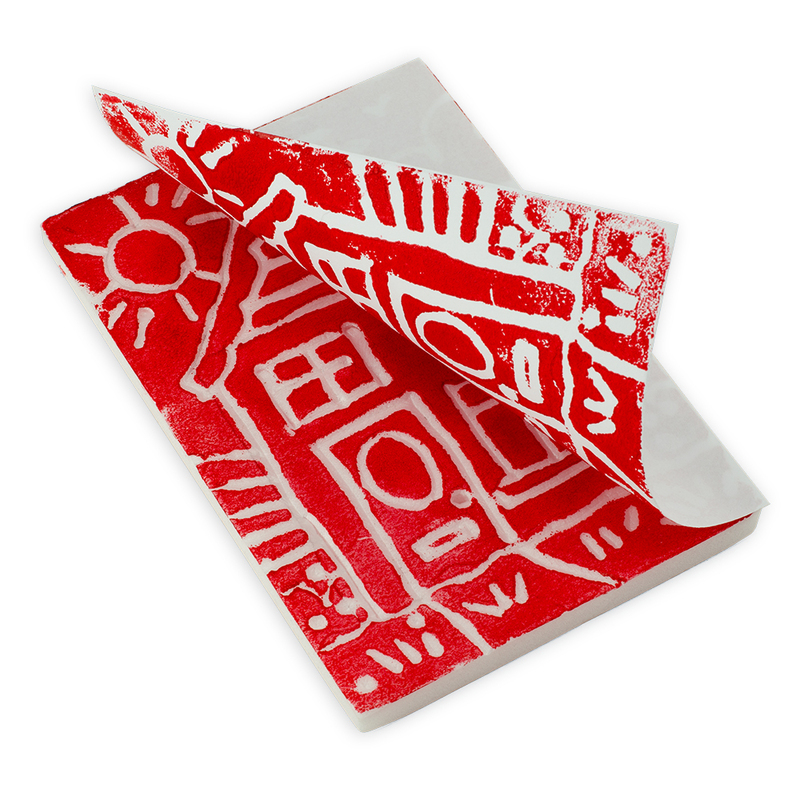 You can then press down a sheet of paper onto the inked surface and when peeled away it should reveal a print of your design! You can use this simple printing technique to create your own posters, collages, cards, decorations and scrapbooks! Each block is approximately 9mm thick and A5 in size.